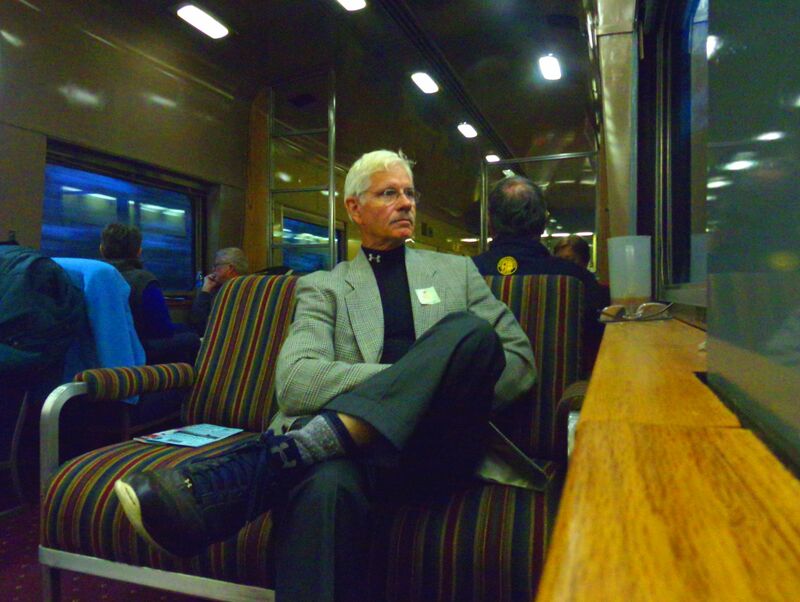 Before sunrise on November 1st, we boarded a special excursion train in Salisbury, North Carolina, and pulled out of the Spencer Museum Station at 7 a.m. for a five hour trip north to Charlottesville, Virginia. The train had twenty-seven cars, including the two Amtrak locomotives, and over 900 passengers. After a three hour layover for lunch and shopping in the Blue Ridge city, the train returned to Salisbury at 8 p.m. the same day. 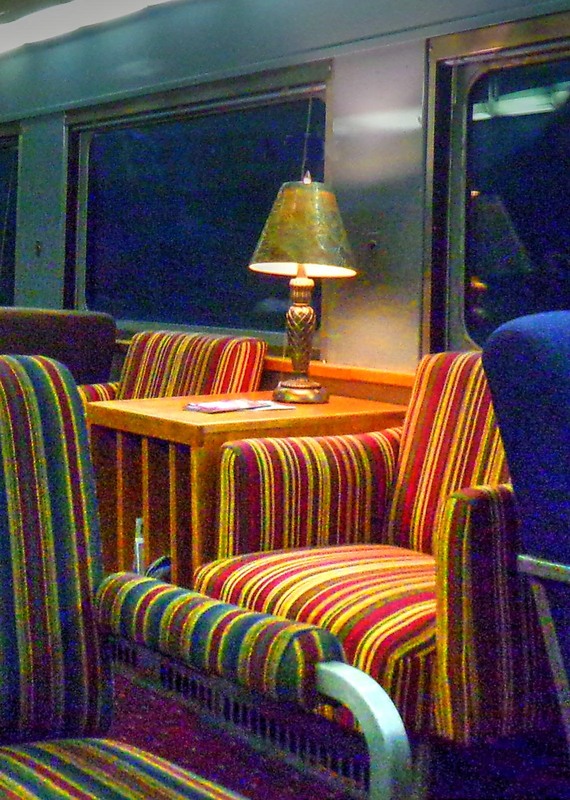 Our coach was a 1950’s vintage Club Car from the New York Central Railway. It had been lovingly restored to its original appearance, and the service was first class all the way. The car featured sofas and comfortable chairs, with table lamps on hand rubbed wooden tables. Half the car was furnished with dining tables and side chairs. 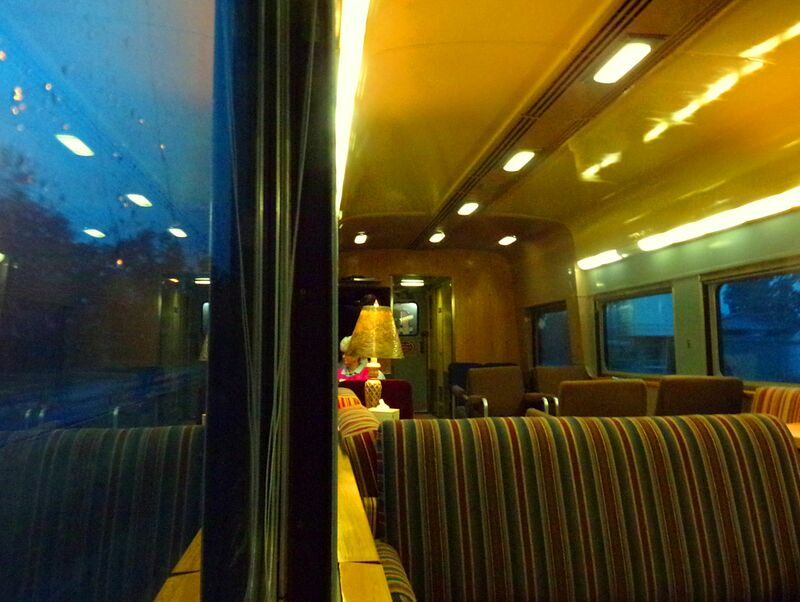 The windows were extra large, and a friendly staff served drinks and snacks as the train headed north. 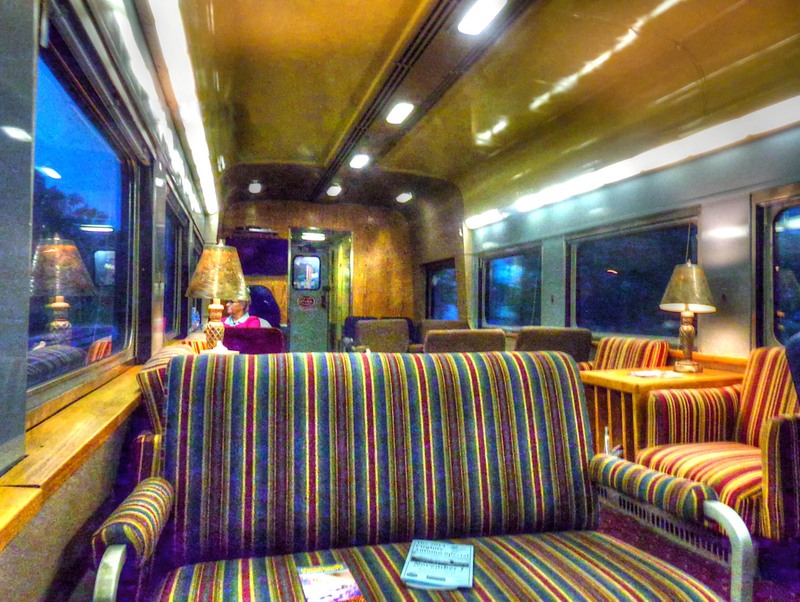 The train sped along at 50 mph, and the smooth ride was conducive to reading and napping as the colorful foliage appeared around every bend. The following four minute video will give you the sensation of traveling through the Virginia countryside on the way to our Charlottesville destination. If you are reading this in your e-mail, simply click on the headline above to go directly to the blog site and see the video. Thanks Vann……..looks like a really nice trip from Salisbury to Charlottesville. 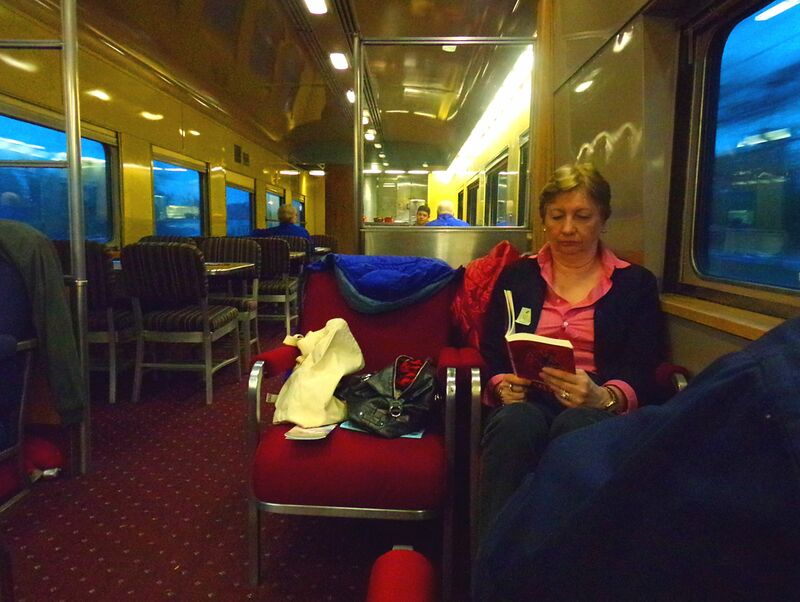 Train trips seem very popular this time of year through the mountains and farmlands. Seems like I was transported back in time to the era of the railroads and rural America. Great soundtrack and beautiful Autumn colors. Thank you for sharing.